Antelope Canyon is located near Page, AZ in the northeast corner of the state on a Navajo reservation. 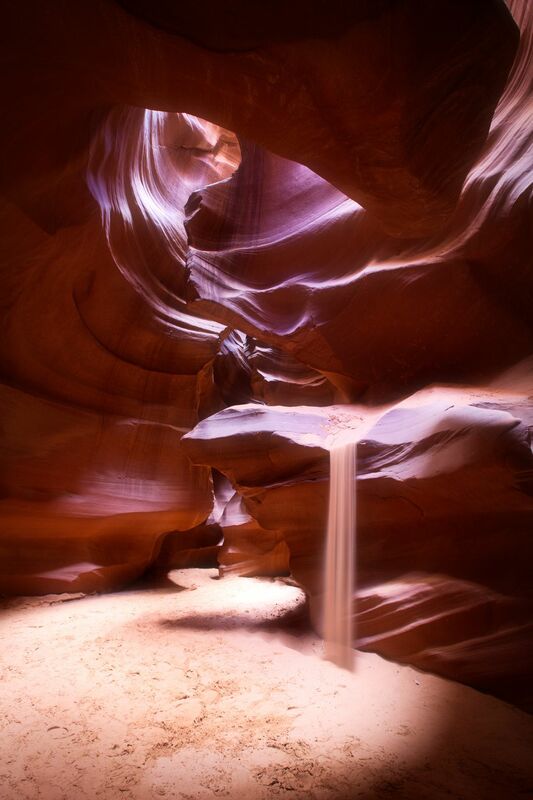 To visit this place, you must organize it through the tribal tour office, especially to do a photographic tour which allows you to spend more time in this beautiful slot canyon. To create this affect sand was poured onto a ledge inside the canyon so that it could fall over the edge and stream down onto the canyon floor. Date Uploaded: Sept. 3, 2017, 3:15 p.m.